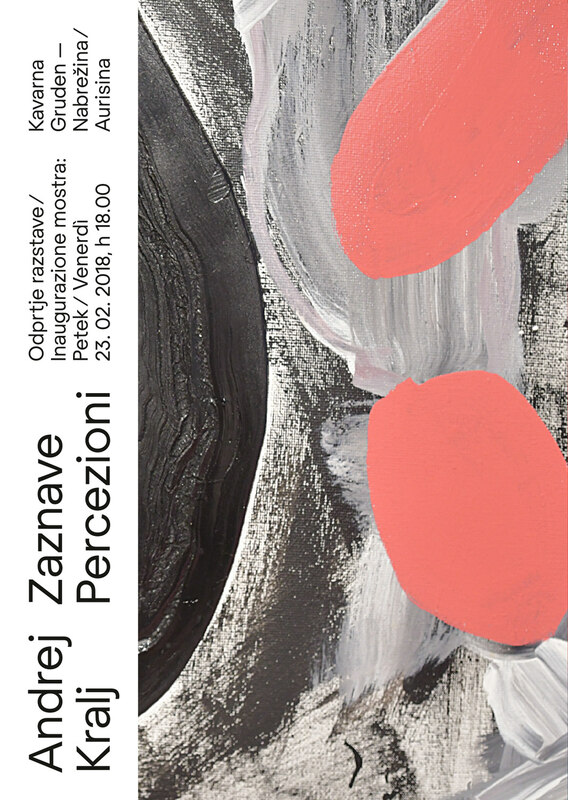 Visual identity and print design (set of four posters + one leaflet) for the promotion of Andrej Kralj's action-painting exhibition about perceptions (called 'Zaznave / Percezioni': the Slovene and the Italian words meaning 'Perceptions') at Kavarna Gruden in Nabrežina (TS — Italy). 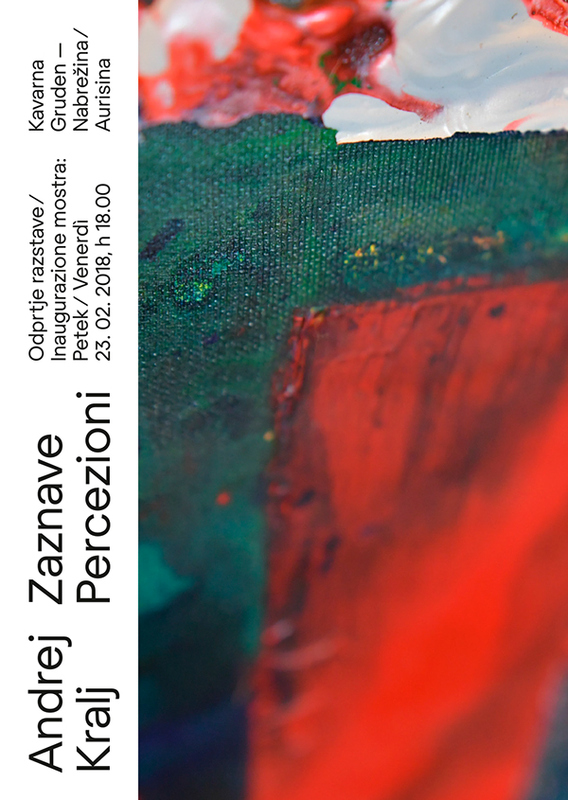 About the 'Zaznave / Percezioni / Perceptions' exhibition: "Not just art, but every human work contains fragments of the soul, fragments of gold. 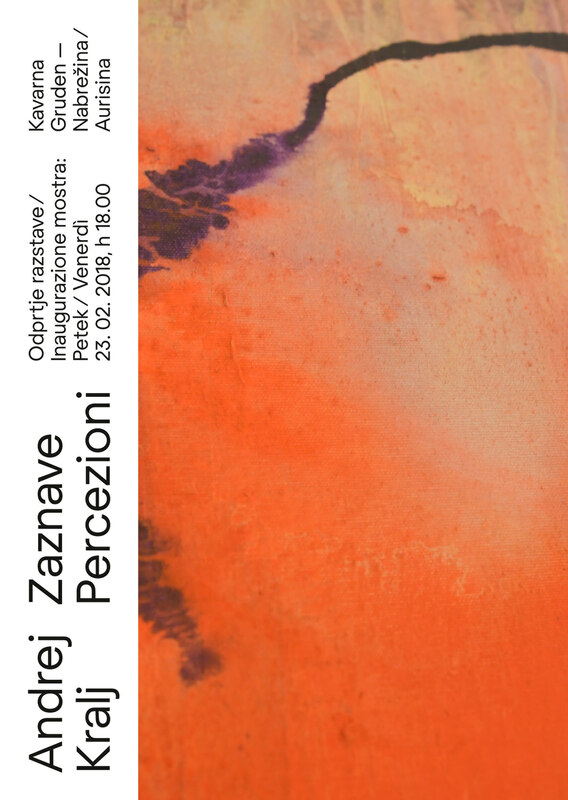 Painting represents for Andrej Kralj the exploration of territories unattainable for other forms of art. 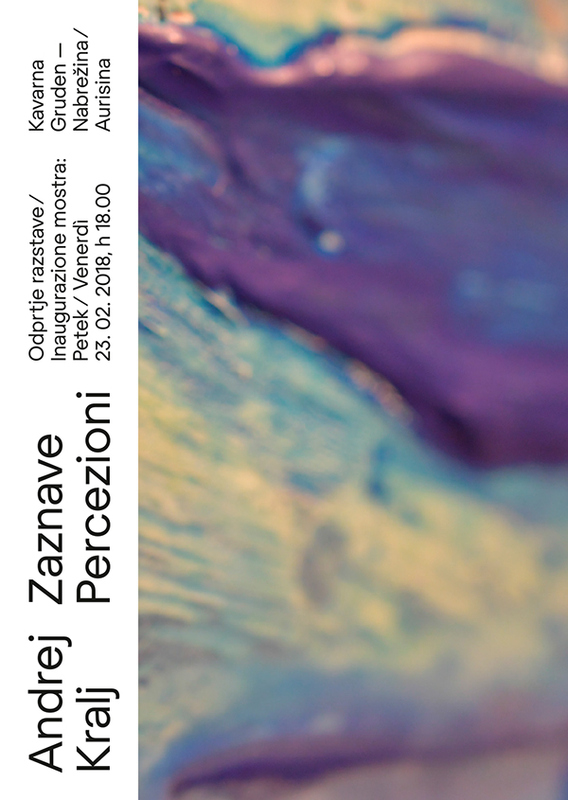 Visual aesthetics wants to be born in a remote, abstract, immediate, instinctive, archetypal dimension, far from words. 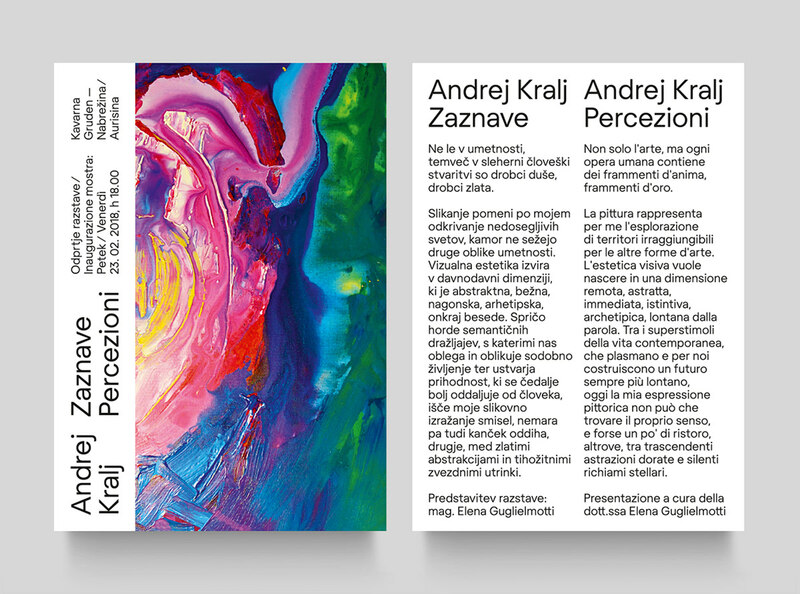 Among the superstimuli of contemporary life — which mold and build an ever farther future for all of us — Andrej's pictorial expression can only find its meaning, and perhaps a bit of refreshment, elsewhere: somewhere between transcendent golden abstractions and silent stars recalls". 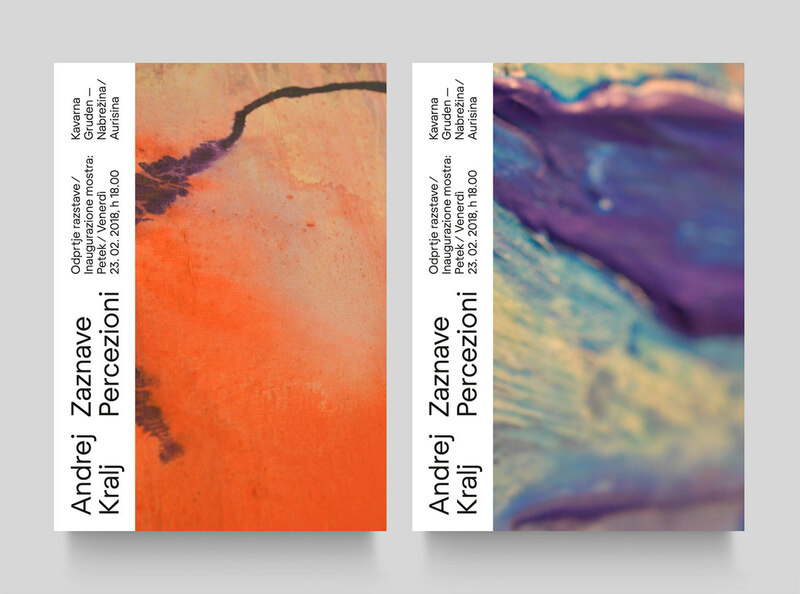 Offset CMYK 4/0 print on white 170 gsm coated paper, A2 format (posters) + offset CMYK 4/4 print on white 300 gsm coated paper, A6 format (flyers). 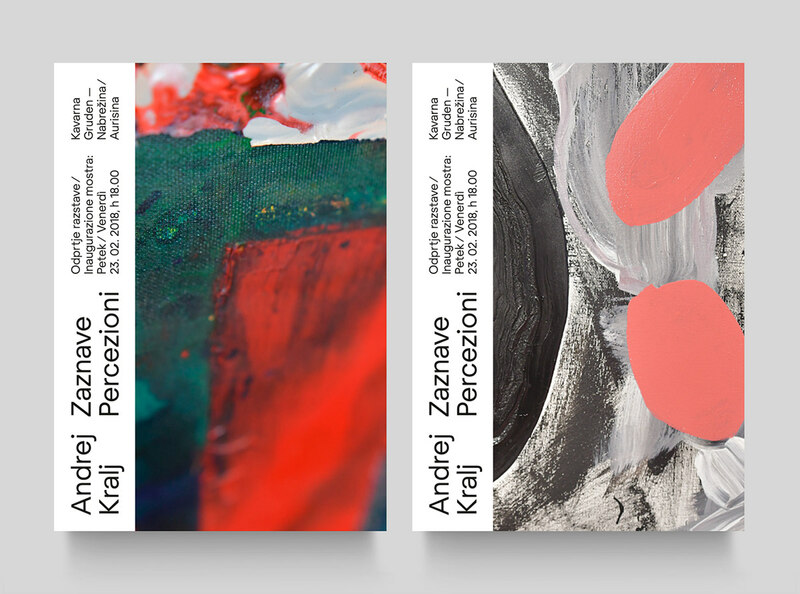 Visual identity and print design (set of four posters + one leaflet) for the promotion of Andrej Kralj's action painting exhibition about perceptions.